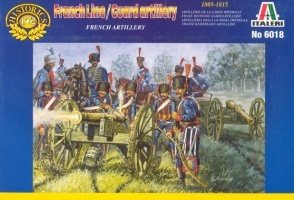 6018Napoleonic French Line/Guard Artillery. Released 2000. 13 unpainted plastic figures, 2 GUNS and 1 limber. 9 different Poses. Material Plastic.